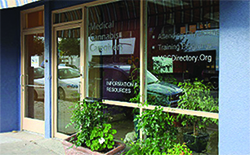 This course provides information regarding Senate Bill 94 Regulations for the medicinal use of cannabis and the authorization of health care facility Licensees to provide medicinal cannabis products under a special “licensing exemption.” With the legalization of the recreational use of cannabis, it makes profound sense to authorize health care facility Licensees, who are already licensed to provide medical services and products, to also provide medicinal cannabis products to Clients who use cannabis as a medicinal treatment option. This course runs approximately four (4) hours and provide two (4) units of credit toward the California Department of Social Services Continuing Education Requirement of Licensees Re-certification. REFUND POLICY: Full refund if canceled 24 hours before start time. CLASS SCHEDULE: Every Saturday (except Holidays) from 11 am to 3 pm. The Landmark Research Collective located in Pasadena, California, was established by the MCC in 2015 to serve as California’s first clinical teaching Collective. The MCC was established in 2006 for the purpose of providing an educational program to support the advancement of healthcare services provided under State approved Medical Marijuana Programs.